Exterior of Ford's Theatre by Gary Erskine. Open from 9 a.m. to 4:30 p.m. Schedule varies. The site of President Abraham Lincoln’s assassination. 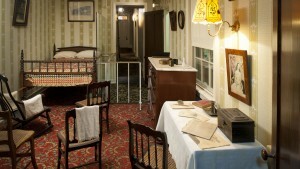 Visit Ford’s Theatre and step back in time. While at our historic site, you will learn about the events of April 14, 1865, and the lasting impact of Lincoln’s assassination on our nation. We are a popular Washington, D.C., tourist destination and welcome more than 650,000 visitors a year. 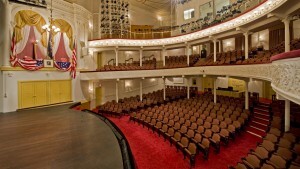 Ford’s Theatre presents live theatre on stage regularly, so our daily visit schedule varies. See what is currently on stage. Every visitor needs a ticket. We have timed-entry every half hour. Museum and theatre are not included in every ticket. An entire site visit lasts ~2 hours. March-July is our busy season. To guarantee tickets, reserve in advance. Same-day tickets are limited. Box Office opens at 8:30 a.m. 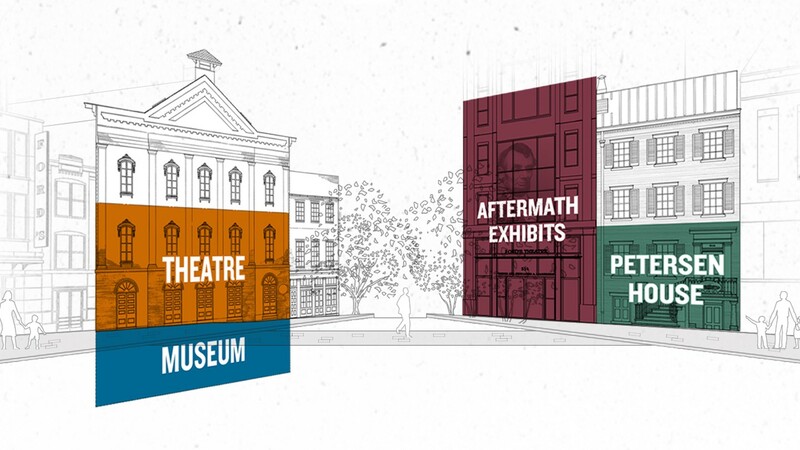 Learn more about what you can see during a visit to Ford’s Theatre. 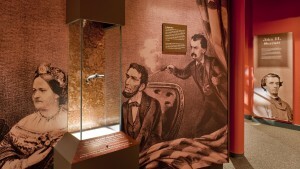 In our museum, you can see rare artifacts from the Lincoln assassination, follow Lincoln’s presidency and learn about the conspiracy. At different times throughout the day, you can hear a National Park Service ranger talk about the events of April 14, 1865 or go on a self-guided tour. In the spring and summer, you can see a short one-act play called One Destiny. At certain times, the theatre is closed for matinees and rehearsals. After you see the historic theatre, visit the house where Lincoln died. The house is located across the street from the theatre. This small home accommodates 15 people at a time. 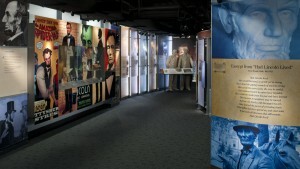 View exhibits about what happened immediately after the assassination. Follow Lincoln’s funeral train from Washington, D.C., to Springfield, Illinois, and learn about his legacy. Or follow John Wilkes Booth's escape and the trial of the conspirators. There are no performances on this day.